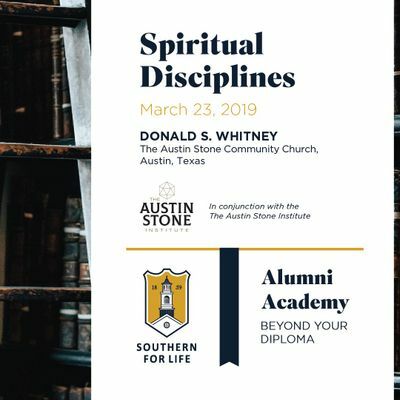 Join Dr. Donald S. Whitney as he teaches on the Spiritual Disciplines. The event will be held at The Austin Stone Community Church in Austin, TX on March 23, 2019. 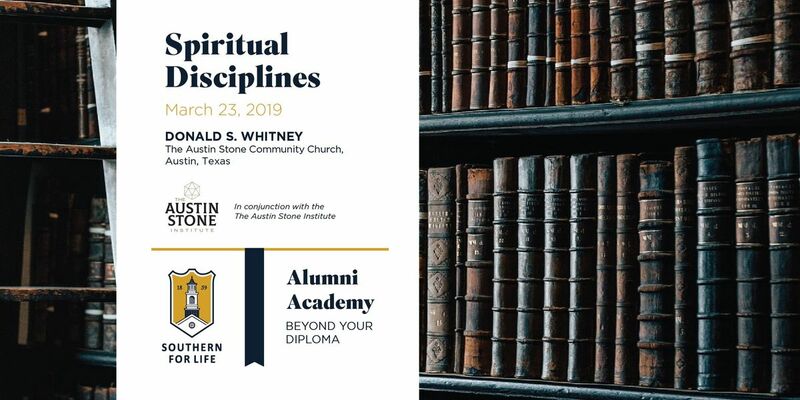 The material for this class emerges from Dr. Whitney’s long and esteemed career of studying, writing, and teaching on the Spiritual Disciplines. Attendees will be equipped with a deeper understanding of prayer and meditation upon God’s Word and a greater awareness of the hope we have in Christ. We hope you can join us for this exciting event, and we look forward to seeing you in Austin. Every attendee will receive resources and a continental breakfast and lunch will be provided. 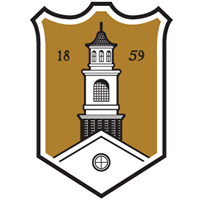 PROFESSOR OF BIBLICAL SPIRITUALITY (2005); ASSOCIATE DEAN OF THE SCHOOL OF THEOLOGYWhitney came to Southern from Midwestern Baptist Theological Seminary, where he was associate professor of spiritual formation for 10 years. He has authored numerous books, including Spiritual Disciplines for the Christian Life, How Can I Be Sure I’m a Christian?, Praying the Bible, and others. He is also a popular conference speaker, especially on personal and congregational spirituality. He served in pastoral ministry for 24 years and his hobby is restoring and using old fountain pens.